CBI court frames charges against Indrani and Peter Mukherjea, Sanjeev Khanna. What are the charges? Mumbai court frames charges against the prime accused in Sheena Bora murder case. What now? A special CBI court in Mumbai Tuesday framed charges against the prime accused in the Sheena Bora murder case - Indrani Mukherjea, her husband Peter and ex-husband Sanjeev Khanna. They were charged under the Indian Penal Code sections relating to murder, attempt to murder, destruction of evidence, giving false information about an offence, criminal conspiracy, kidnapping, causing grievous hurt using poison, voluntarily causing hurt with weapon, cheating, forgery for cheating, using as genuine a forged document. Indrani, a high-flying media executive, was arrested by the Mumbai police last August for murdering Sheena Bora, who she claimed was her sister but turned out to be her daughter from a previous marriage. Sheena's body had been found from a forest near Gagode village in Raigad in 2012. Peter and Sanjeev were later arrested for helping Indrani carry out the murder. Indrani's driver Shyamvar Rai was also held as an accomplice. Now that the charges have been framed, the court is set to hear arguments from the prosecution and the defence soon. Given the involvement of high-profile people and the sensational details that emerged during the course of the investigation - and were duly leaked to the media - the case captured national attention. So much so that then Mumbai Police commissioner Rakesh Maria personally monitored the investigation. He would camp inside Khar police station, where the case was registered, for several hours a day to supervise Indrani's interrogation, and even question her himself. The investigation revealed that Sheena was strangled to death on 24 April 2012 and her body burnt in the Gagode forest. The body was found by the Raigad police but their investigation was shelved, allegedly at the order of then Superintendent of Police, Raigad, RD Shinde. Her interrogation revealed that Indrani had two children, Sheena and Mikhail, from her first marriage with Siddharth Das and they were raised by their grandparents in Guwahati. In 2006, Sheena moved to study at St Xavier's College, Mumbai, where she was registered, as her birth certificate showed, as the child of Indrani's parents. According to the police, after completing her studies, Sheena landed a job with an infrastructure company and moved into a rented apartment in Khar. Around this time, she got into a relationship with Rahul, Peter's son from a previous marriage. Peter did not object to the relationship - apparently because he too believed Sheena to be his wife's sister - but Indrani was dead set against it. She tried to talk Sheena out of the relationship, to no avail. It was then, the police said, that Indrani decided to kill her with the help of her ex-husband Sanjeev. On the morning of 24 April 2012, Indrani made Sheena get into her car, where she and Sanjeev strangled her. Her driver Shyamvar disposed of the body in the Gagode forest. After killing her daughter, Indrani spread the word that she had gone to study in the US. She even posted old pictures of Sheena in the US on her Facebook page to keep up the lie. But Rahul got suspicious when his repeated messages to Sheena went unanswered. He started asking about her, and despite Indrani, and later Peter, insisting that Sheena was living happily in the US and wanted to end her relationship with him, Rahul lodged a missing person's complaint with the police in Worli. And when the Worli police came calling, Indrani, it is alleged, "used her clout" to put an end to the investigation. Then in August 2015, Shyamvar, who had since left Indrani's employment, was arrested for possessing an illegal weapon. During his interrogation, he spilled the beans about Sheena's murder. Indrani was soon arrested. It was not with controversy though, not least because the commissioner of police was personally monitoring the probe; even Chief Minister Devendra Fadnavis raised questions over Maria's "attention" to the case. Maria was abruptly promoted out in September 2015, and the investigation was later handed over to the CBI. It was the CBI which arrested Peter. Earlier this year, the CBI filed a chargesheet before the special CBI court, which was followed by three supplementary chargesheets, based on which the court framed the charges. Also Read: What got Rakesh Maria transferred: politics, police rivalry or Sheena Bora case? TWEET THIS CBI court frames charges against Indrani and Peter Mukherjea, Sanjeev Khanna. What are the charges? 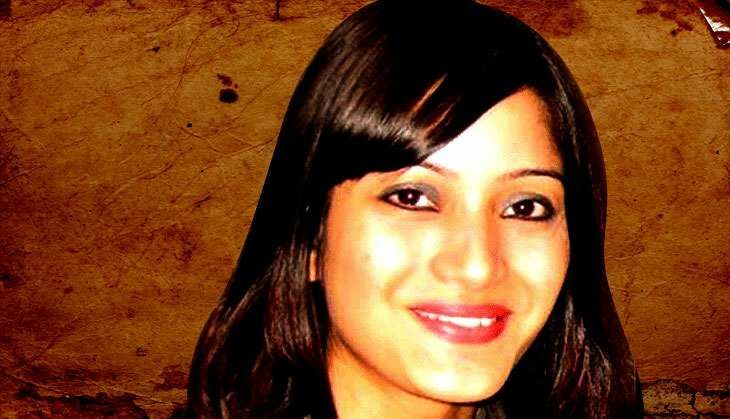 Mumbai court frames charges against the prime accused in Sheena Bora murder case. What now? Why did Amarinder Singh suddenly decide to take on Badal in Lambi?